Today, a car's entertainment system and safety features are a big consideration when narrowing down your choices. So we're chatting about the new tech you can expect to encounter when you go down to your local dealership for a test drive. 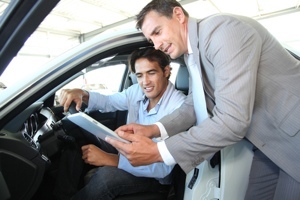 Plus, we'll help trouble shoot your new car tech problems. Which car safety features are must-haves. We'll cover lane departure system, adaptive cruise control, blind-spot warning systems, forward collision avoidance & more. Entertainment tech for your car: Do you get and entertainment package with head-mounted displays? Wireless headphones? Connecting your car: Do you get mobile hopspot? What type of connectivity is available for your mobile phone? 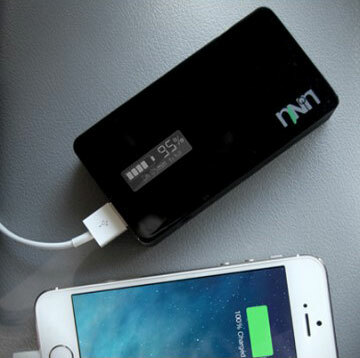 One lucky participant in our Twitter chat will win a quick-charge Unu Ultrapak Go Battery Pack! Plug the Unu Ultrapak Go ($79.99 MSRP) into a wall outlet for just 15 minutes for enough power to fully recharge most iPhones. And, if you have 30 minutes, you'll get a full 3000mAH at your disposal, enough to completely recharge most smartphones. You'll know exactly how much charge you have left, thanks to the built-in LED display. And, a power button ensures the Unu Ultrapack doesn't lose charge when it's not in use. The 4.5-ounce portable charge measures just 3.95 x 2.05 x 0.68 inches, or about the size of a deck of cards. We will randomly select tone (1) winners from the entries. No purchase is necessary to win. Void where prohibited. U.S. residents 18+ only. Giveaway ends 3/19/15 at 9:55pm ET. Click here for the full rules.